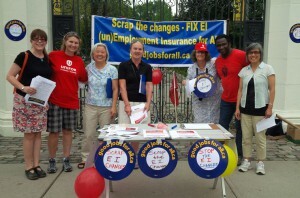 At the Toronto Labour Day parade, Good Jobs for All members distributed 2000 flyers and got over 200 signatures on a petition to stop the Harper government’s changes to the Employment Insurance program. If you didn’t sign the petition or get a flyer, and need information, please ‘read more’. 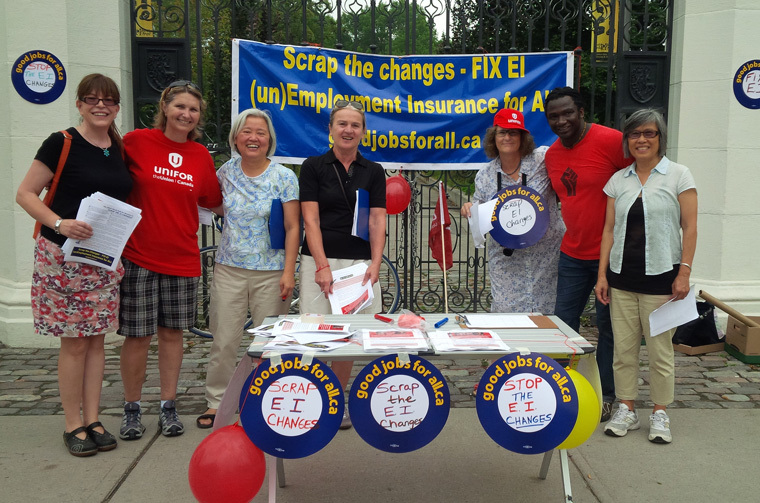 Contact info@goodjobsforall.ca if you know someone who has been cut from the EI program or needs help collecting EI and if you want to join this campaign.